JJ Classic | 2019 JJ Classic Stalion Nominations now open! 2019 JJ Classic Stalion Nominations now open! 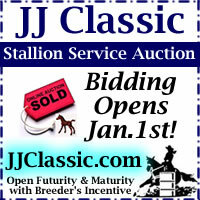 2019 JJ Classic Stallion Nominations now being accepted!